Chat Translator for Skype is designed to help users to translate Skype chats in 35 different languages using 38 different language pairs in real time. Skype Chat Translator fully supports both of the classic Skype 3.8 and the latest Skype 4.0. • Instantly translates conversations in different languages. • Translates and sends messages in any foreign language. • Translates replies from one language into your own language. • You can conduct instantaneous discussions with customers from all corners of the globe. • You can obtain real-time feedback from your customers. • You can maintain closer ties with persons in international offices. 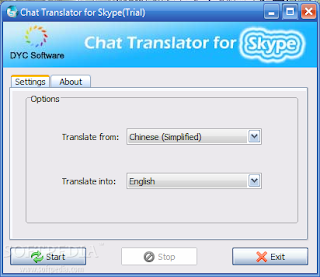 • Chat translator for Skype also helps in distance learning and corporate training. 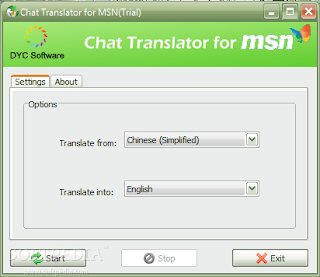 • The use of chat translator also make inter-company communications more stronger. • Chat translator helps in providing mutually respectful relations. • Allow customers to communicate freely in their native language which helps to make an easy purchasing decision. • It provide instantaneous service solutions to customers. • With e-commerce and international business flourishing, chat translators are highly sought-after as it provides a complete live service solution. • Using the Chat Translator for Skype, conducting on-line conferences, interviews, meetings, events become all the more easier. Skype Revealer is a small application that allows you to view Skype Contacts and Chat History till now, without actually logging into Skype. 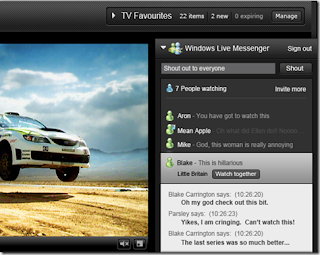 "A public beta of Windows Live Messenger 2011 has been released by Microsoft. Coming part of an extensive package of Windows Live Essential's new betas, Microsoft's IM client has received an array of new features and improvements for users to test before the application's official release expected mid-August. * The build number is 15.3.2804.607. * Display names have been replaced by real names associated with that particular Windows Live ID. This is a significant change, most probably associated with Messenger's social networking push. Some users however, have expressed concerns over the idea, with worries over privacy for those who choose not to publish their real identities. o Microsoft MVP CookieRevisied has criticized the feature, stating: "This isn't about 'getting used to changes' or 'getting rid of the old and going forward in time', or even a 'personal taste of a feature' or whatever, this is all about privacy!..." 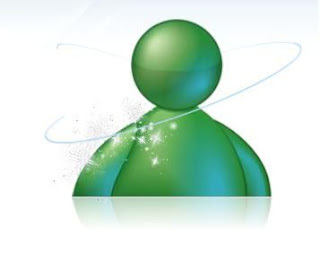 Microsoft recently announced the availability of the Windows Live Messenger Connect beta. Messenger Connect is a flexible, yet comprehensive, set of APIs and controls that allow you to build applications so people can communicate, share and connect with their Messenger friends. Applications built with Messenger Connect provide people a seamless social experience that combines your content with popular Windows Live features—such as chatting with their friends, updating their photos, or sharing their activities. * Sign-in. Easily let people use their Windows Live ID to sign in to your application. * Contacts. Let people find and invite their friends to your site. * Calendar. Integrate your application your users' digital lives by letting them share their calendars with your application. * Real-time Shared Experiences. Increase engagement by using the Messenger Chat Control -- a UI control that adds a fully functional chat room to your site. * Activities. Let your users share what their up to on your site through their activity streams. Although participation in the Messenger Connect beta is currently only by invitation, you can apply for the beta here. "A little over a year ago, we released an early preview of Google Voice, our web-based platform for managing your communications. We introduced one number to ring all your phones, voicemail that works like email, free calls and text messages to the U.S. and Canada, low-priced international calls and more—the only catch was you had to request and receive an invite to try it out. Today, after lots of testing and tweaking, we’re excited to open up Google Voice to the public, no invitation required..."
"Last week reports began surfacing that Facebook was now prompting users to invite their Skype friends to Facebook. Now, Facebook is testing deeper integration which enables Skype users to start calls, chat, and send files if their friends on the service. While we’ve received at least one report, we aren’t quite sure if this is a feature being tested by Facebook or if this something that is part of an upgraded Skype application. We’re reaching out to Facebook for clarification but since it’s late I wouldn’t expect a response before tomorrow. Given that Facebook has an existing chat platform, and has even tested a video chat product, one has to wonder why Facebook would be the one behind this product. Also, the multiple occurrences of the Skype icon within Facebook’s product below makes it seem a little bit questionable..."
SkypeKit Lets Connected Devices Get Plugged into Skype! Skype yesterday announced SkypeKit SDK, a new set of software tools and APIs (application programming interfaces) that developers can use to port Skype to web-connected devices aside from mobile phones and computers. SkypeKit is designed to work with a wide variety of chip sets, operating systems, and audio/video devices. Think of SkypeKit as a "headless" version of Skype--that is, it runs invisibly with no user display. That way, developers are free to surface and deliver Skype functionality through their own products' interfaces. SkypeKit is currently in beta release. Starting June 23, develepoers will be able to sign up for the waiting list to receive an invitation to the SkypeKit Beta Program. ChatIP is an easy to use tool designed to help you communicate while you navigate the internet. This application will enable you to dialogue with people that visit the webpage you visit. This is the first program that approaches this matter, that allows the communication among people that visits the same Internet home page. Making of each web site a chat room where you can find many friends. Microsoft has just released their official Windows Live Messenger app for iPhone and iPod Touch and it's available for download now from iTunes. This new app brings Windows Live Messenger, Hotmail, Windows Live social networking and more to the iPhone and iPod Touch. Version 1.0.1 of the app, released June 21, 2010 allows you to use your iPhone to instant message your friends list, view and comment on your friends’ photos and status updates from Windows Live, Facebook, and MySpace, and at a glance, see what your Messenger friends are sharing from Flickr, YouTube, and many other social and photo sharing sites. 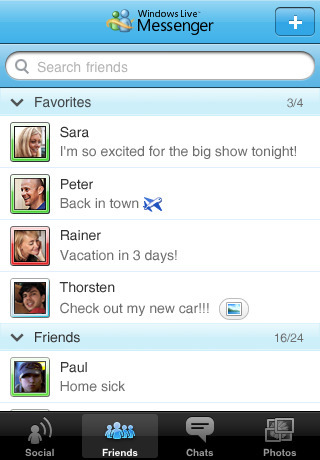 Windows Live Messenger for iPhone and iPod touch is available for free on the iTunes App Store. You can download it via the link given below. 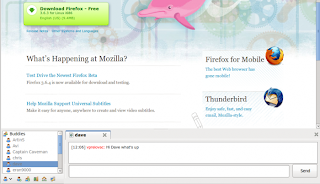 BuddyFox is an instant messaging addon for Firefox browser that allows you to chat chat online and share links without leaving your browser window. 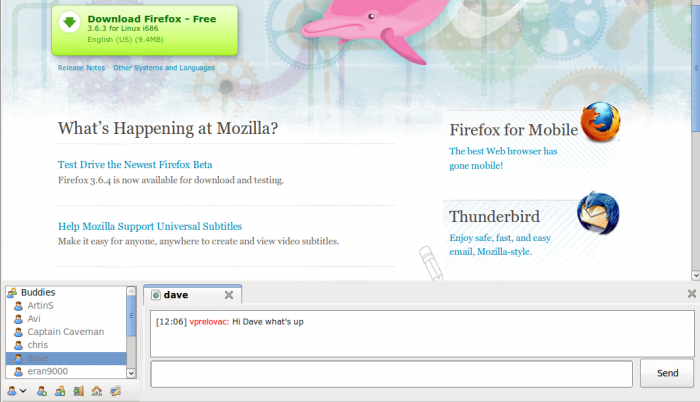 After creating an account on BuddyFox.com you download the addon and install it in Firefox. A small icon will appear in the status bar and clicking it will slide open the chat window with the list of your friends on the side. Using the icons you can add new friends and even create groups where you can talk to all of them at the same time. The chat is smooth, even with multiple people at once. 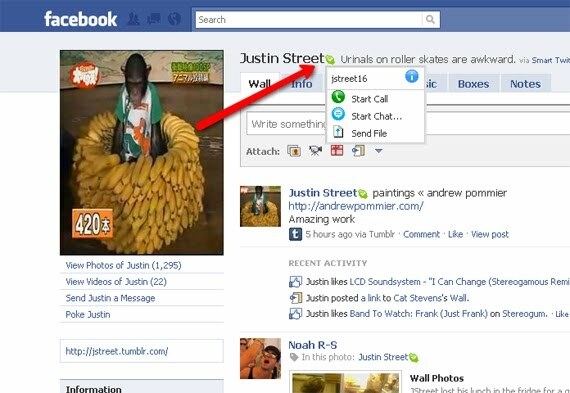 You can also simply drag and drop links from the pages you are viewing to your friends. "Want to talk to a friend about your search results, for example something you found about the World Cup? It’s possible now. Bing has gained yet another way to share search results and that’s through, you guessed it, Messenger! You can share it as your status or via an instant message. As with all Bing features this may or may not be available in your market, but by the looks of it this one is only available on Bing in the US (click link or set Bing to United States and you will be able to see it too)..."
MagicJack is a device with a USB port that plugs into a computer and a phone jack that plugs into a standard phone, which allows the user to make phone calls to any phone in the U.S. for a fixed charge of $20 a year. 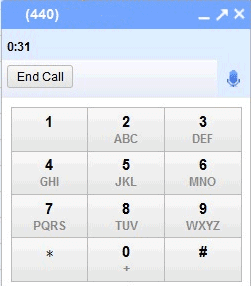 MagicJack Recorder allows you to record your MagicJack conversations. MagicJackRecorder can record as long as you want. If you have enough hard disk space, the recording length is virtually unlimited. # Save your voice and your partner's voice in separated channels. SayAndPost.com provides a tiny (192 kb) windows application that allows you to record a voice message and post it online immediately. After recording you can just insert link to the voice file into your email, webpage or forum post. Your file will be stored on Say and Post server, so you don't need to get your own webspace. SayAndPost.com offers two plans for storing your audio files : You get 10 mb web space and 100 mb monthly bandwith for the free plan. For 50 mb web space and 500 mb bandwith you only pay $11.95 per year. 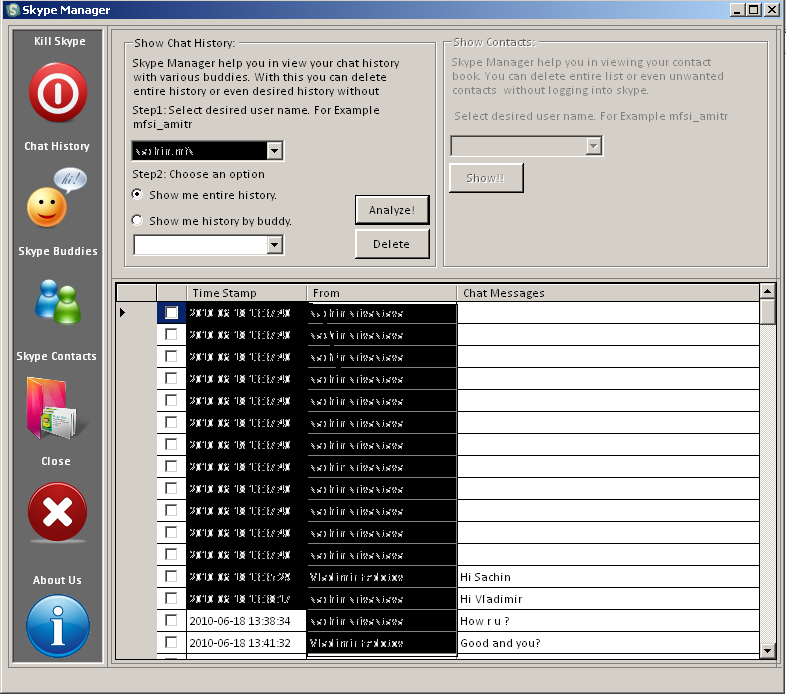 "Communicating by using an instant messaging (IM) program has some of the same security and privacy risks as e-mail, but there are a few dangers that are unique to IM. 1. Never open pictures, download files, or click links in messages from people you don't know. If they come from someone you do know, confirm with the sender that the message (and its attachments) is trustworthy. If it's not, close the instant message. 2. Be careful when you create a screen name. Each IM program asks you to create a screen name, which is similar to an e-mail address. Your screen name should not provide or allude to personal information. For example, use a nickname such as FootballFan instead of BaltimoreJenny..."
Skype recently announced thе launch οf Skype Manager, a web-based management tool thаt replaces Skype Business Hegemony Panel (BCP). # Create accounts - Easily set up accounts for every employee. # Allocate Skype Credit - Centrally manage balances and automatic top-ups. # Assign features - Turn features on or off by individual accounts. # Monitor usage - Real-time reporting about Skype usage and costs. 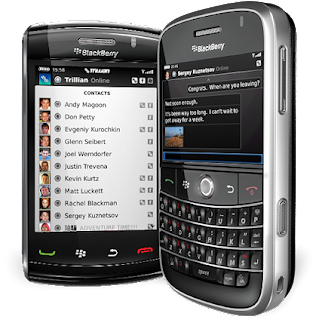 Cerulean Studios had announced that they are working on Trillian for BlackBerry. A new version is now available for public beta testing! Trillian for BlackBerry is currently in beta testing. The beta is time-limited and will expire upon the final release of the product. "The BBC have just unveiled a killer new feature coming to the next version of their iPlayer software. There’s nothing better than settling down (preferably on a comfy sofa) to watch your favourite show with a couple of friends (beers optional). The guys at BBC similarly had the same idea and to this end the next version of the new iPlayer will include Windows Live Messenger integration. This means you will be able to chat to your friends whilst watching the same show at the same time..."
ejabberd is a useful, free and open source instant messaging server written in Erlang. 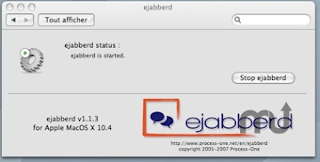 ejabberd is cross-platform, distributed, fault-tolerant, and based on open standards to achieve real-time communication (Jabber/XMPP). · Works on most popular platforms. "The wait is over. You can now make and receive calls with Skype for iPhone using your 3G connection. We’re very excited about this, as we know that being able to use Skype when you're away from your home or office is important to you. We’re also bringing to you improved sound quality, giving you near CD-quality sound for Skype-to-Skype calls on your iPhone 3GS or 2nd generation iPod touch and onwards. Over the coming months we'll be working out what pricing options might be – and don't forget that Skype is all about great value. Calling over 3G will be no exception. 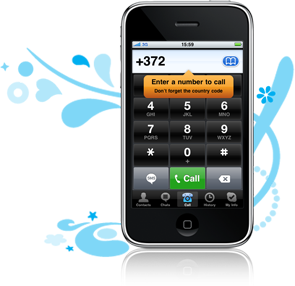 In the meantime, Skype-to-Skype calls on 3G will be free until the end of 2010, so download and enjoy*. Skype-to-Skype calls over WiFi will remain free – and you can make calls to landlines and mobiles around the world at our incredibly low rates..."
Pidgin is one of the best all-in-one instant messengers that supports MSN, Google Talk, Yahoo, AIM etc... Off-the-Record Messaging Plugin for Pidgin allows you to encrypt you conversations and provides security even when keys are compromised. It works on AES128-CTR encryption model. * Encryption : No one else can read your instant messages. * Authentication : You are assured the correspondent is who you think it is. * Deniability : The messages you send do not have digital signatures that are checkable by a third party. Anyone can forge messages after a conversation to make them look like they came from you. However, during a conversation, your correspondent is assured the messages he sees are authentic and unmodified. * Perfect forward secrecy : If you lose control of your private keys, no previous conversation is compromised.